To follow my tradition, here is part 1 of my yearly recap. With only 77 books read, this is my most pathetic year in the last decade. My final choice is based on the quality of the book, on how it resonated with me and my own experience, and on how it stayed with me. Some of these books may actually have got only 4 out 5 Eiffel Towers at the time I read them. HAPPY NEW YEAR OF READING TO YOU! Thanks Edelweiss for this book (and the next). I’m so much looking forward to reading it. By the brilliant author of The Word is Murder, among many others. And I can’t wait to see what next book title it will be in the series!! So smart! I enjoyed a lot The Curious Charms of Arthur Pepper, so I thought I would try the latest by the same author. I was looking forward to Armand Gamache #14 in the series! And I was so lucky to get it so quickly: I was like number 25 on the waiting list at the library, because I had forgotten to reserve my spot as soon as I had heard it would be published in November. Then one day, I went to the library to pick up the book the staff had chosen for me for the Winter Reading Challenge (see below). It was supposed to be at the first floor desk, but the staff there had no idea. So I went upstairs. At the second floor desk, there was a pile of books, with Kingdom of the Blind in it. I asked if the pile was prepared for somebody, and they said, oh no, it’s just that our Hot Copy display is full right now, feel free to pick what you want!!! We are still in the delightful Three Pines, with the same great character, but also with some horrible element of life in Montreal. 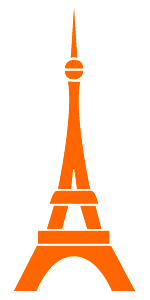 I would actually only give 3.5 Eiffel Tower (my personal ranking system) to this one. The beginning and ending were great! But in between, I found it too choppy: choppy in content, as there were too many quick back and forths between the different threads going on. I understand the purpose, I think, but it didn’t really work for me, it was too much. And choppy in the writing. I like short sentences, with one word sentences as well, but again, this technique was used too much and too often for me to fully enjoy it. BUT, let’s not despair, it was still acceptable enough to make me hope the 2019 volume will be better. This was so good (review to come very soon), by the author of the amazing The Historian (I talked briefly about it on my older blog). It took me almost a year to read this fascinating book, so rich it is! The author, an excellent writer (and speaker – you can find him on youtube) whom I have enjoyed in previous books, presents about 25 modern Orthodox thinkers, theologians, and spiritual mothers and sisters. The book is divided in 21 chapters. It’s actually a revised version of public lectures, so sometimes the style is almost conversational. So for the most part, it’s fairly easy to read, but the content is very dense, depending on the author he’s talking about of course. Each chapter focuses first on the life of the person, and then on their writings and teachings. There are tons of references. So much so that I have taken notes, not only of great passages, but of the books I would like to (re) read. You can find my general presentation of the book on my Orthodox blog. And at the bottom of the page, in the pingback section, you have the list of all the other posts, with my personal notes for each chapter. All my notes will be published by the end of December, they are scheduled once per week. Already reading a 2019 release! I really enjoy a lot the author. I have read 5 of his books, set in Paris. The last one was The Sorbonne Affair. The beginning is very promising. This is my pick for Classics Club Spin #19. I think it will be ok, thanks to the content, but so far, I’m not too impressed by the writing. Picked for me by my public library staff, for the Winter Reading Challenge. I like it so far, it’s about rural Wisconsin, my type of element. So far, I have read and enjoyed all the books by Marie Benedict, see for instance my review for the last one: Carnegie’s Maid. This one is on Hedy Lamarr. I’m a quarter done, still slow, but I have the feeling things are going to move quickly from here, as she just married. And my current audiobook is Maman a tort, by Bussi: a 3 year old keeps telling his mom is NOT his mom! Great suspense, as usual. It will be published in English (The Wrong Mother) on March 7. After Ikigai, I thought I would try this other interesting Japanese concept, plus I love so much hiking. When I visit my public library, I like to go to the Graphic “Novels” section, and see what new biography they have. There was one on Hedy Lamarr, who is the topic of The Only Woman in the room ! (see above). So I thought it would be fun to compare the two books. The last audiobook by Bussi available so far!